What is the CSPI Program? The College Student Pre-Commissioning Initiative (CSPI) is a scholarship program designed for college juniors and seniors attending Historically Black Colleges and Universities, Hispanic Serving Institutions, and Tribal Colleges and Universities, who demonstrate a high caliber of academic and leadership excellence. Students enrolled in CSPI receive two years of fully paid tuition while they participate in four hours of weekly Coast Guard duties during the school year, and some additional training during breaks. Open to Historically Black Colleges and Universities, Hispanic-Serving Institutions, and Tribal Colleges, the CSPI program provides hands-on training to students who have a desire to succeed. Those enrolled in the program who complete their bachelor’s degree will receive a guaranteed commission as an officer in the U.S. Coast Guard upon graduating Officer Candidate School (OCS). Upon commission, you can expect a great leadership role based on the training and hands-on experience acquired from the CSPI scholarship program. 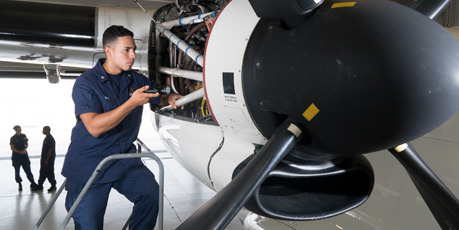 Your job could be an operational position on a cutter, you may apply for flight school, gain important roles at districts, information technology, maritime safety positions, and many other new and exciting career paths. 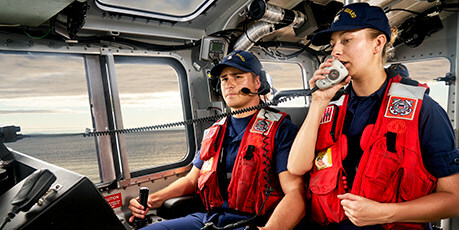 Visit the Officer Opportunities page to learn more about career fields in the Coast Guard. There, you can review different officer programs and begin your application process. You can also submit an application for the CSPI scholarship program by clicking on the "Apply Now" button at the top of the page and selecting "College Student Pre-Commissioning Initiative" in the area of interest field.